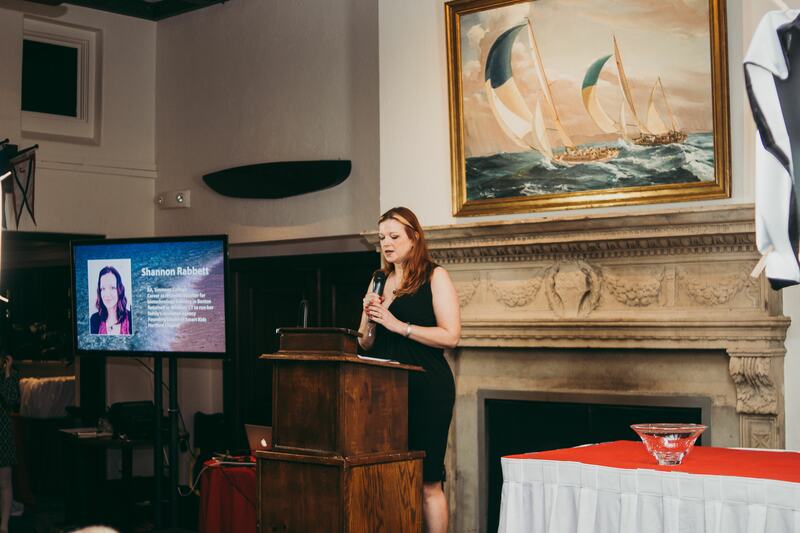 The Smart Kids with Learning Disabilities Annual Benefit honored the courage, hope, and support parents of children with learning disabilities and ADHD can provide to other parents. We need to create a tsunami to wash away the stigma of learning disabilities and ADHD. On Friday, April 27, Smart Kids with Learning Disabilities (SKLD) hosted its 18th anniversary benefit gala at the Indian Harbor Yacht Club in Greenwich, CT, entitled “Make Waves.” The evening celebrated the winners of the annual Fred J. Epstein Youth Achievement Awards, as well as honoring Robert Tudisco, attorney and ADHD activist, with the organization’s Be The Difference Award. Dr. Christopher Bogart, executive director of The Southfield Center for Development in Darien, CT, served as master of ceremonies. 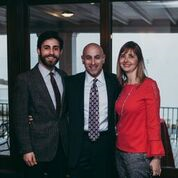 Robert M. Tudisco, Esq., Senior Counsel at the Tarrytown, NY office of the law firm Barger & Gaines, was honored with the 2018 Be The Difference Award. Tudisco is a nationally-recognized author, motivational speaker, and non-profit management consultant. He is the former executive director of the Edge Foundation, a non-profit organization that provides specialized coaching for students with ADHD and Executive Functioning Impairment; past member of the National Board of Directors of Children and Adults with Attention Deficit Disorder (CHADD), and former Vice President of the Attention Deficit Disorder Association (ADDA). Tudisco writes extensively on special education law and disability advocacy, and is a frequent lecturer at conferences, legal education seminars, and parent special education groups. He received his Juris Doctor at Fordham University School of Law. Nine high school students, five of whom attended the event, were presented with the Fred J. Epstein Youth Achievement Awards, recognizing young people with learning disabilities and ADHD for remarkable accomplishments. 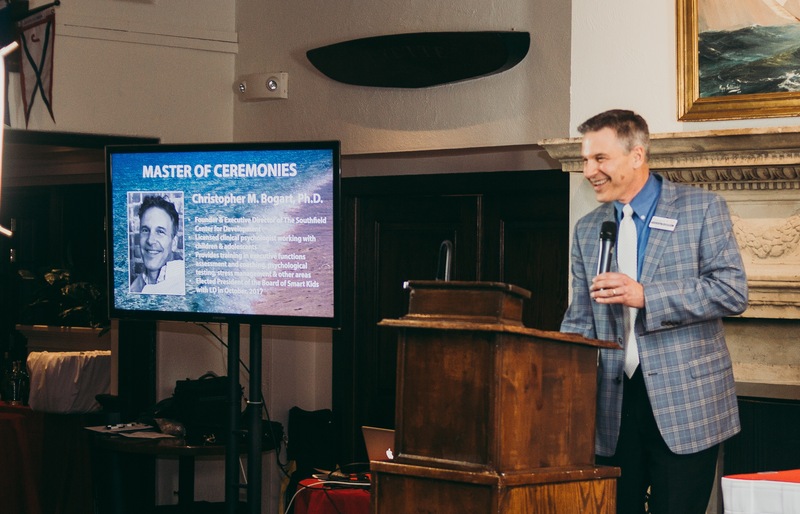 The awards are named for the late Dr. Epstein, who credited his learning disabilities for fueling his professional success, and became an inspiration for children with LD and their families. The honorees, who came from five states and Canada, demonstrate what young people with learning disabilities can achieve through dedication, talent, initiative and the support of their families and teachers. Following a spirited cocktail hour and wine auction, over 150 guests enjoyed a live auction. 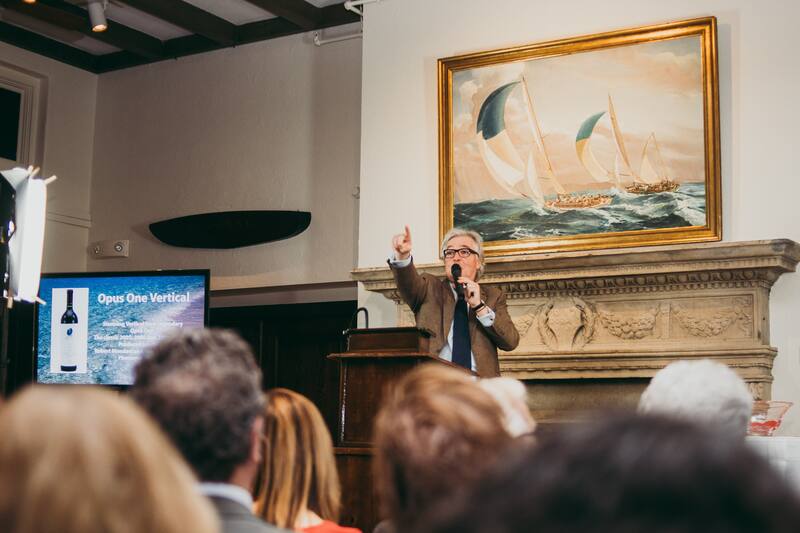 Simon Teakle, of Simon Teakle Fine Jewelry in Greenwich, rallied those in attendance to bid on items including tickets to Harry Styles Live, a cocktail cruise, and a travel package to see the New England Patriots. The event raised more than $75,000, which will be used to continue the non-profit organization’s efforts to educate and support parents of children with learning disabilities and ADHD. The Summit Sponsor for the gala was the Southfield Center for Development in Darien, CT. Leader Sponsors were Lindamood-Bell Learning Center in Darien, CT, and the Affinion Group in Stamford, CT. Additional sponsors included Causeway Collaborative, Eagle Hill School Greenwich, Fairfield County Bank, Fusion Academy of Greenwich and Fairfield, Winston Prep School in Norwalk, CT, Freudigman & Billings LLC, Patriot Bank, and Sensory Kids. Smart Kids with Learning Disabilities, Inc. is a Westport-based nonprofit organization dedicated to empowering the parents of children with learning disabilities (LD) and attention deficit disorders (ADHD) via its educational programs, award-winning website and blog, and free e-newsletter at http://www.SmartKidswithLD.org. The organization also educates the public about these children’s gifts and talents. Connecticut Governor Dannel Malloy, Anne Ford, and Ben Powers are Honorary Board members and Henry Winkler, Golden Globe award-winning actor, director and author, serves as the organization’s Honorary Chairman.